Final restoration and final paving is scheduled to begin on Tuesday, July 11th or the following day in the event of inclement weather. The first activity will be milling of the affected driveways aprons, where 1 inch to 1 ½ inches of the driveway base is roughened to allow the asphalt overlay to adhere to the surface. Milling will start in the back (east) side of the neighborhood and work toward the front (west). Homeowners will be allowed to exit/enter the driveway with a brief interruption while the milling machine moves out of the way. The second activity will be the overlay of asphalt pavement to the milled surface area of the driveway aprons, including feathering the new paving into the existing asphalt. This overlay will follow right behind and be concurrent with the milling. This overlay work on each driveway apron is not expected to exceed 2 hours, during which vehicles will not be able to exit/enter the driveway. After the asphalt pavement is applied and the equipment has moved on, homeowners may exit/enter their driveways. Both the mill and overlay operations together should take approximately 4-5 days. The final paving activities will include milling both Smith Circle and the affected area of Island Avenue. Immediately after all milling is complete, the paving will be applied on one half section of the road at a time. The Contractor will have signs and flaggers to direct traffic. The paving is expected to begin during the week of July 17th. Following all paving activities, Utilities Unlimited will complete final restorations of the affected water meter areas adjacent to the roads. The contractor’s work hours will be 7:00 AM - 6:00 PM M-F, with slight variations based on daily progress. Saturday work is not presently anticipated. All Loudoun Water customers (former Seaboard customers) are off the temporary bypass waterline and connected to the new 8” permanent waterline in the road. Meter crocks and service lines have also been installed for these customers. Utilities Unlimited (UU) has disconnected and drained the last segment of the temporary bypass waterline and it has been physically removed from the site, except the segments across driveways. There is no work planned for Saturdays going forward. This week, the bypass segments across the driveways will be removed and the driveway crossings will be filled with stone to 4” below grade and hot patched with asphalt. Final mill and overlay restoration of the driveways will be performed in late spring 2017 with final mill and overlay of the road. Also, this week, the road crossings that have settled will be re-patched to bring them up to grade. In the coming week, UU will begin installation of service lines and meter crocks/setters for the non-Seaboard properties and installation of the water sampling station. In the springtime (March-May 2017), the contractor will return to install new service lines from the meter to the house for the former Seaboard customers. Pressure reducing valves (PRVs) will also be installed in those homes in the spring. Once completed, the system can be fully pressurized and fire hydrants placed into service. Until that time, the bags will remain in the fire hydrants. Loudoun Water would like to thank our existing customers for their cooperation and assistance with water quality testing in their homes. All testing has been completed. If you have any additional questions about your results, feel free to contact us. 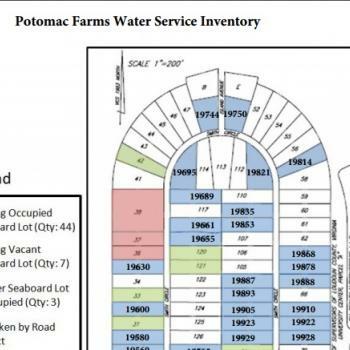 For our former Seaboard customers, please note your next Loudoun Water bill will be your final ‘flat rate’ bill. Effective December 29, 2016, you will be converted to central system rates. Your next quarterly bill will be received in April 2017 for your January, February and March usage. Please call Customer Relations with any questions at 571-291-7880. 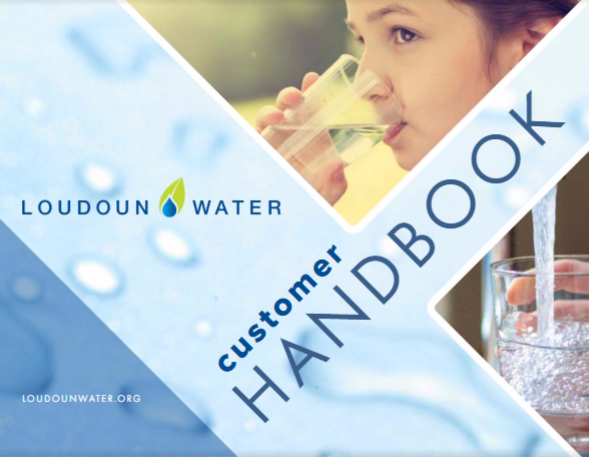 For residents that were NOT previously connected to the Seaboard system, we wanted to provide some guidance for those who have interest in a future water connection as far as cost is concerned. Below is a breakdown of the costs that can be expected to connect to the Loudoun Water System. Total estimated cost to connect to the Loudoun Water System: $10,000. We will have information regarding the connection process and financing options in early 2017. Finally, we would also like to thank all residents in Potomac Farms for their patience and assistance throughout this important construction project. For continued updates, visit the website at www.loudounwater.org/potomac-farms. Loudoun Water has completed connecting all former Seaboard customers to the new temporary waterline. We appreciate your patience and assistance during this construction project. Now that the connections have been completed, Loudoun Water will no longer provide bottled water and full use of your water can be resumed. You may wish to let your faucets run for a brief period in order to remove air in the lines from the hook-up process and any loose sediment that may be present as a result of switching to the new line. This week, you will receive an easement request letter from Loudoun Water. Please review, sign and return the documents as soon as possible so that we can move forward with the installation of meter crocks for the permanent waterline. If you have any questions about your easement request letter, please contact Susan Blackburn at 571-291-1043 or via email at sblackburn@loudounwater.org. For continued regular updates on construction progress of the permanent waterline, visit the website at www.loudounwater.org/potomac-farms. Loudoun Water has completed installation of the temporary waterline in the Potomac Farms neighborhood. Thank you very much for your patience and assistance during this construction project. 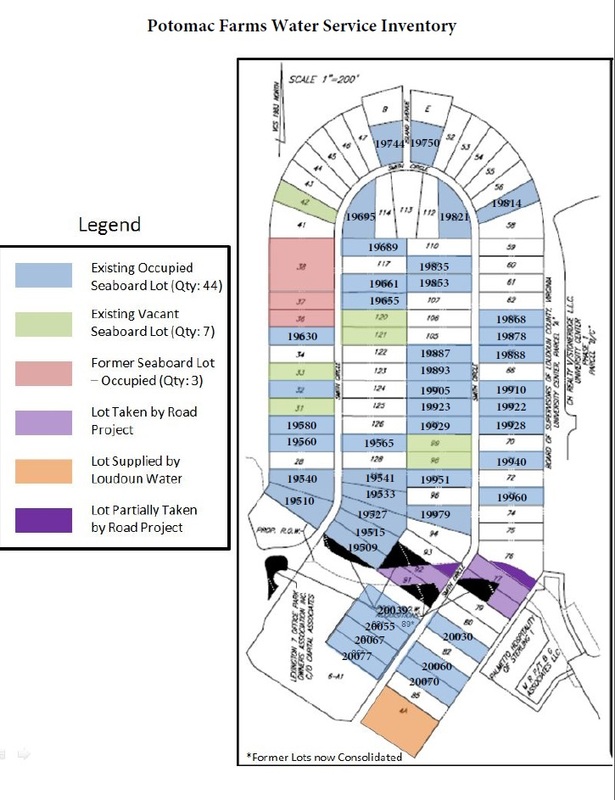 Loudoun Water is now beginning the process of connecting the former Seaboard customer homes to the temporary waterline. It is anticipated that all connections will be completed by Tuesday, November 1. You will be notified of your impending connection by our contractor, Utilities Unlimited. You will experience a very brief disruption of service while the connection is being made. In the meantime, water quality testing has been completed. You will be receiving your home’s specific testing results on October 26. Of all the homes that were tested, only three came back with elevated lead levels. Those residents have already been contacted by Loudoun Water to discuss next steps. Please note that once all water service connections are made, Loudoun Water will no longer provide bottled water to our customers and full use can be resumed. Loudoun Water takes great pride in its efforts to protect public health. The safety of our customers is our highest priority. Thank you for your trust and understanding during these past few weeks. Loudoun Water will be sending out another notification on the status of the water system next week. As always, please call our Potomac Farms hotline at 571-291-6510 with any questions. For continued regular updates on construction progress, visit the website at www.loudounwater.org/potomac-farms.